Door Ding Repair - Express Dent Inc.
PDR helps retain the value of your vehicle, while saving you time and money. Most door dings, creases and hail damage do not actually have any paint damage to begin with. A body shop will typically just “fill” the dent in with putty, sand it down smooth, and repaint the panel. If you paint your car you depreciate it’s value. With over 15 years of experience of PDR we have seen virtually type of door ding out there. This is why we are devoted to putting our years of experience to work for you and continue to learn the latest and greatest PDR methods. We all know that the Fort Worth area is growing so fast, and with that comes more drivers, more congestion on the road and busier parking lots. In turn, we are seeing a lot more of the pesky little dings that we all hate. If you have a dent that is bothering you, there is no need to involve a body shop that will cost you more money and take much longer. 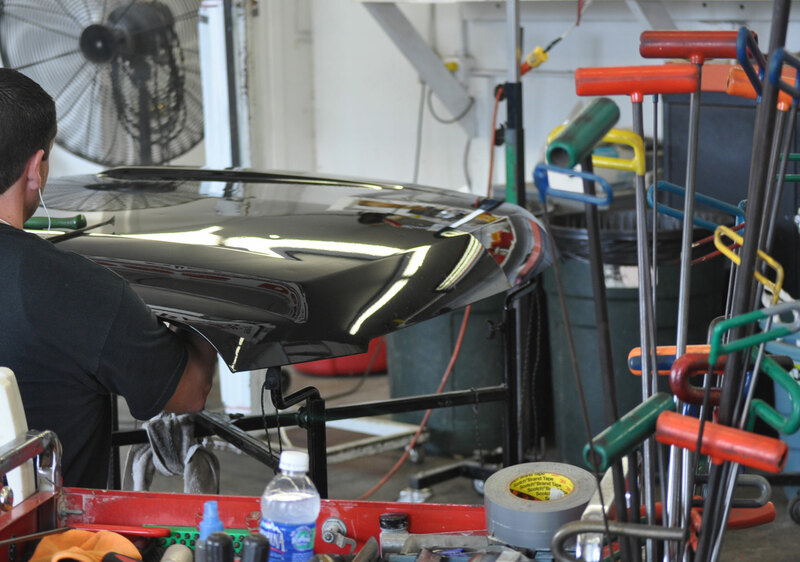 Our paintless dent repair services get the job done right, and since we aren’t replacing any metal, your car retains its original parts. This helps your vehicle retain value on top of the time and money you save. Nobody enjoys a door ding, but accidents happen and that’s where we come in. Our team of expert PDR specialists are here to get your vehicle looking right at an affordable price. Does Your Door Ding Qualify? 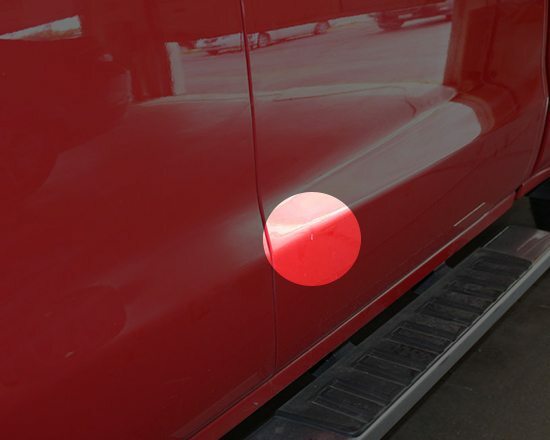 The main qualifying points as to whether a dent can be removed using Paintless Dent Repair are simple. The original paint needs to be intact and the dent can not include an edge of a panel such as the red areas in the picture above. Edges are sometimes possible; however, this varies among different automobile manufacturers. All makes and models are Paintless Dent Repaircandidates. However, performing Paintless Dent Repair on vehicles manufactured prior to 1980 becomes more limited. Talk to a Real Person. We are Here for You.